I know it's only the beginning of spring but all the beauty brands are already coming out with their summer collections and I am loving it! Hello neons and tropical hues! Today I have here with the new Mark. 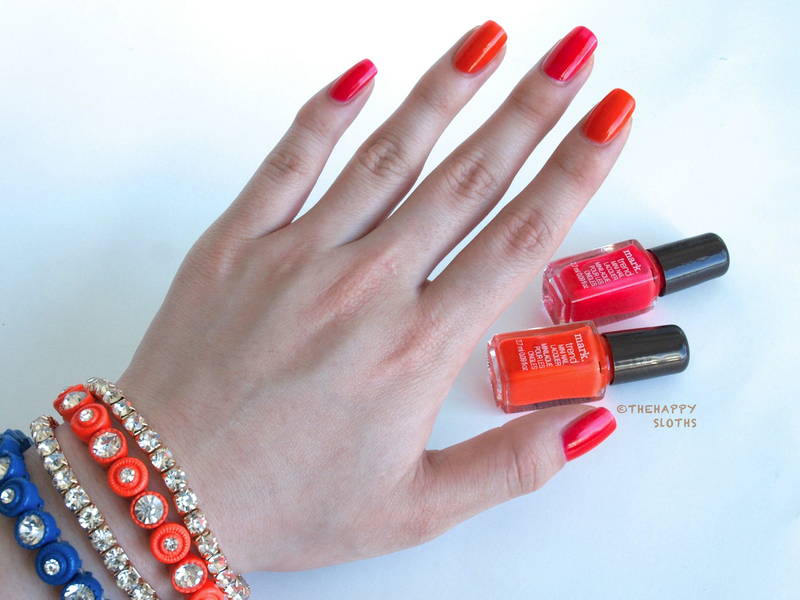 limited edition Nail This Look Nail Lacquer and Bracelets Set ($28.00) featuring two "megawatt matte" nail polishes and matching bracelets that are perfect for the warm weather to come. Pink Spark: This one is a warm pink neon. The formulation was really good. In the past I never had any luck with neons because they tend to be super thick or streaky but the consistency of this was smooth and pigmented! Also it was opaque in just two coats; the color was so intense it didn't even need a white base! 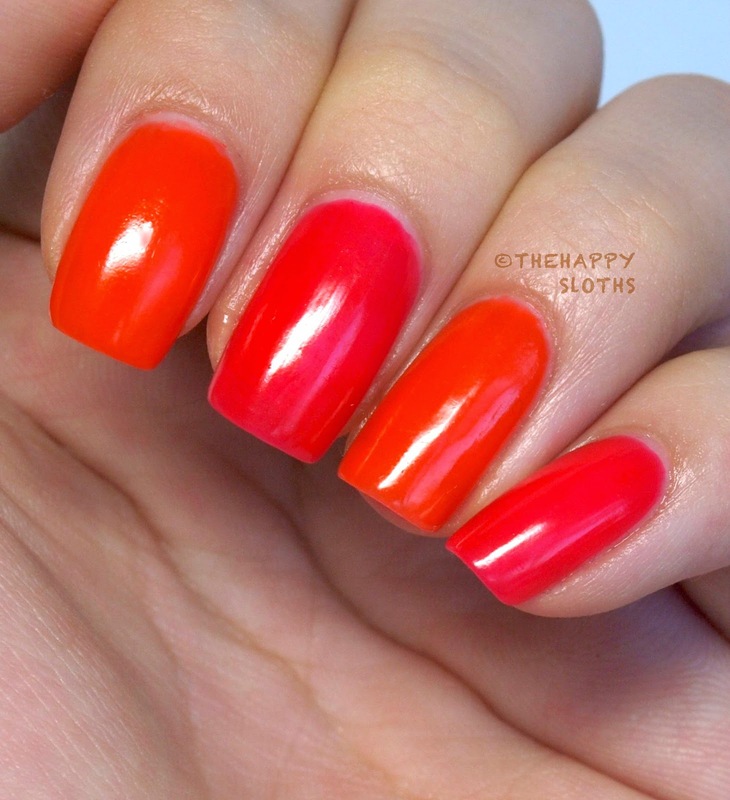 Orange Blast: This one is a beautiful bright orange. The formulation was just as good as Pink Spark but the pigmentation was a tad sheerer so I needed to use three coats. I noticed that with both of these polishes I experienced some minor bubbling. It was probably due to my lack of waiting time between coats but it's something to look out for. The drying time of both was really fast. The finish was rather latex-y versus matte. You can definitely use a top coat to make things shiny but I quite like how the polishes look with the semi-matte finish. It balances out with the brightness quite nicely! 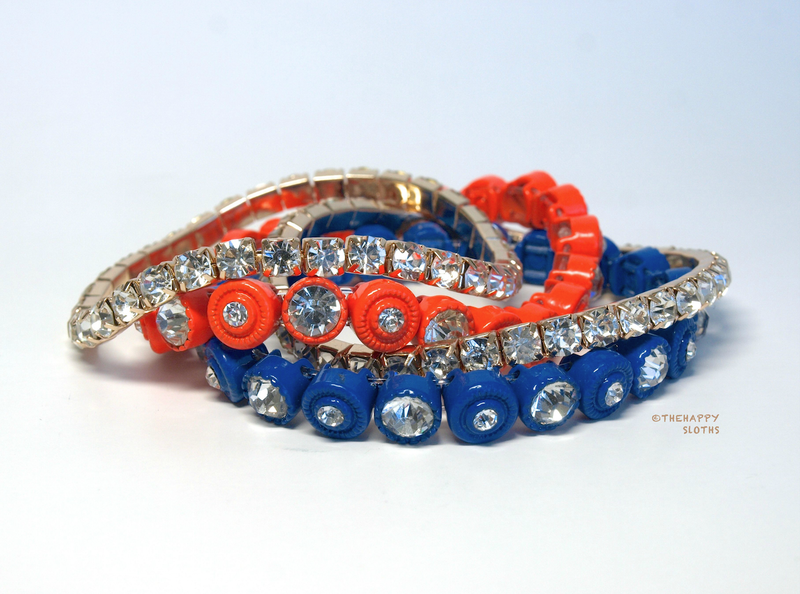 The bracelets included in the set are stretchable so they should fit most people. Their color and style match the polishes very well too! The quality of the bracelets are decent, it's on par with something you can find at Aldo Accessories. I think this is such a cute gift set to get for yourself or for a friend! The polish quality was very impressive and the addition of the bracelets was such a nice touch. With that said though, I personally think the pricing of the set is a tad high ($28.00) for just two mini polishes and four bracelets add-ons. However, I do believe Mark./Avon offers a lot of deals and discounts when you order products through their representatives. This Mark. Nail This Look set will be available as of June 2014 through Avon Independent Sales Representatives and on Mark. online. Are you ready to embrace the neons and brights or are you just getting into the spring pastels? Let me know in the comments below!